We are celebrating the Lord's Supper this next Wednesday in a joint service of the entire CBC congregation! 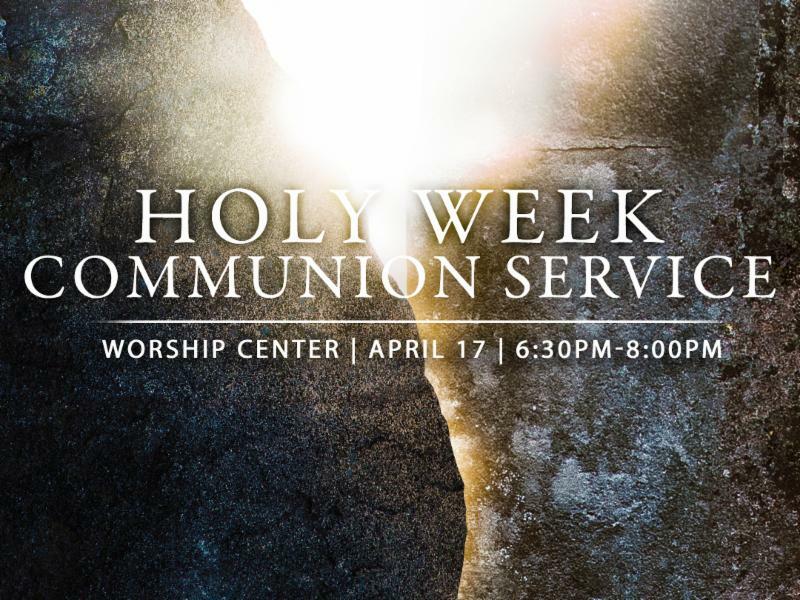 We are calling it Holy Week Communion Service. Traditionally we have celebrated the Lord's Supper either on Palm Sunday or on Resurrection Sunday. These two very special Sundays in the Christian calendar remind us of joyful events: the triumphal entry of Jesus into Jerusalem and the resurrection of Jesus from the dead. So it is fitting that throughout the years of history of our church our worship on these two Sundays hold special significance. We are also reminded that something very significant happened between Palm Sunday and Resurrection Sunday. Historically we refer to the week in between these two as Passion week, alluding to the suffering of Jesus, or as Holy Week, because of Jesus' holy sacrifice on the cross. So for the first time in many years, or perhaps ever, we will celebrate the Lord's Supper right in the middle of this week. This is significant because it causes us to pause in the middle of the week and think about Jesus' suffering and sacrifice on our behalf. This gives our celebration of the Resurrection more depth. In addition, it is an opportunity to be together as adults and students, as English and Spanish congregations, as contemporary and classic worship style congregations. It speaks to the unity of the CBC body around the Lord's table. What a privilege! So the regular Wednesday night groups: EQUIP, WIT, ICC, Remedy and choir will come together in the worship center this Wednesday from 6:30 PM to 8:00 PM for a time of bilingual praise, meditation and communion. And those who do not usually attend on Wednesday nights are also encouraged to join us for this special service. Make plans to be there. Prepare your heart for a different-than-usual worship experience. Tell others about it and invite people. Let's make sure Christ is at the center of our Easter observance!